Have news to share? Want to publicize an event on the SILS website or on the digital monitors in Manning Hall? See something on the sils.unc.edu site that needs to be updated? SILS alumni, students, faculty, staff, and university affiliates should contact SILS Communications Coordinator Katherine Perales at kpearl@email.unc.edu or 919-843-8337. Katherine can help coordinate interviews with SILS faculty members for stories related to their fields of expertise, however, if you are a member of the media working on a tight deadline or seeking comment on a breaking story, please contact the UNC-Chapel Hill Office of Communications and Public Affairs at (919) 445-8555 or mediarelations@unc.edu. 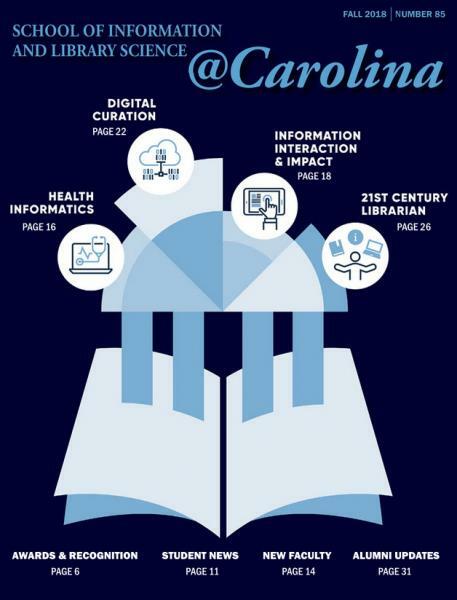 Introductions to new faculty, special events, national recognition for faculty and students, and feature stories that highlight SILS four areas of research excellence: Health Informatics, Digital Curation, Information Interaction & Impact, and 21st Century Librarianship.